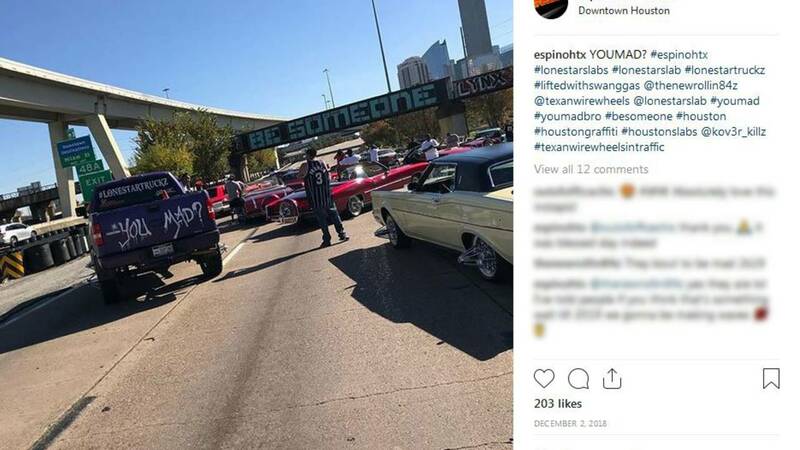 HOUSTON - The man accused of chasing and firing shots at a vehicle that caused a deadly New Year’s Day crash was part of a group that stopped traffic on a major highway for a photo shoot weeks before the crash, prosecutors said Friday. Christopher Lopez, 48, is charged with manslaughter, aggravated assault with a deadly weapon and failure to stop and render aid in connection with the crash on Aldine Mail Route that killed 45-year-old Silvia Zavala. Authorities said on New Year’s Day three teens in a vehicle threw eggs at Lopez’ car. The 48-year-old is accused of chasing after the teens in his car and shooting at their vehicle. Police said the 14-year-old driver ran a red light during the chase and crashed into Zavala. He’s been charged with murder. Lopez was back in court Friday for a bail hearing, where prosecutors revealed he was also one of five people arrested in connection with a Dec. 2 traffic jam about 1:30 p.m. Interstate 45 in front of the iconic “Be Someone” sign. 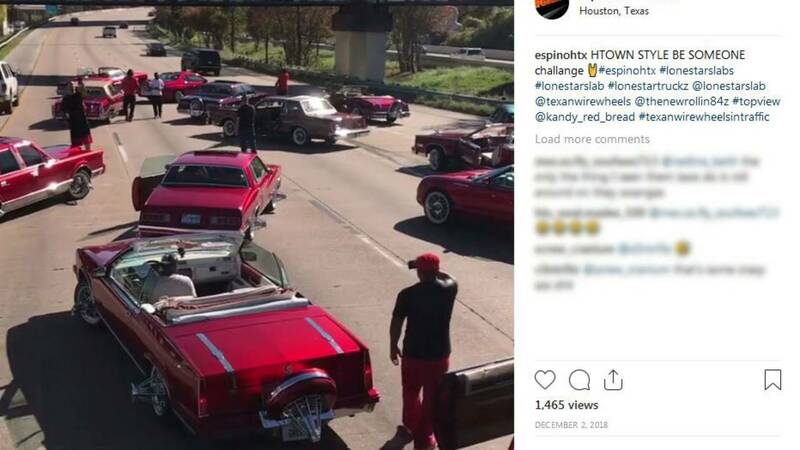 “A group of these people that are (members) of a car club, voluntarily shut down I-45 for 10 to 20 minutes to take videos and things like that in their cars,” said Sean Teare, chief of the Harris County District Attorney’s Office vehicular crimes division. Teare said videos and pictures of the stoppage were posted on social media, which was used to find those responsible. He said another member of the club was driving the same car that Lopez was driving the day of the deadly crash. Lopez is charged with obstruction of a highway in connection with the Dec. 2 incident, Teare said. If convicted of the crash-related charges, Lopez faces up to 20 years in prison. He is expected back in court on March 27. The 14-year-old driver of the vehicle prosecutors said Lopez was chasing has been charged with murder in connection with the crash.